We offer affordable flat fees for most petitions with U.S. Citizenship and Immigration Services ("USCIS"). Most removal cases must be handled on an hourly basis, but we offer affordable monthly payment plans. At the Border Crossing Law Firm, we focus exclusively on immigration law and are guided by the core principle that no human being is illegal. The Border Crossing Law Firm, P.C. has won asylum and cancellation of removal for over a dozen refugees who fled from their home countries to escape torture, persecution, and death on account of their political or religious beliefs. We have substantial experience in Immigration Court proceedings, and vigorously defend immigrants against deportation. At the Border Crossing Law Firm, your case will not be lost in the high-volume shuffle that takes place at most immigration law firms. Every client receives the expertise of an experienced immigration attorney who understands that your immigration case is of utmost importance to you and your loved ones, and will give your case the individual attention it deserves. Our clients appreciate our straightforward approach and honesty about the results that we can achieve. We are known for the accessibility of our attorneys, the superb guidance we offer and the diligence we exhibit in pursuing the rights of immigrants across the country. Mr. Haque represents well over a thousand immigrants and their families all across Montana, and has been in contact with over a thousand other immigrants in Montana through his advocacy efforts. He has internalized their stories, understands their feelings and anxieties, and is one of the few people in Montana who has a broad and clear picture of the diverse immigrant communities throughout Montana, from Glacier to Yellowstone -- and in all the small communities all along the way. Mr. Haque helps clients with a wide variety of family and employment based visas. He has won asylum for over twenty refugees who fled from their home countries to escape torture, persecution, and death on account of their political or religious beliefs. He has also won cancellation of removal for numerous clients in contested deportation proceedings -- one of the most difficult forms of relief to win due to its high burden of proof. Mr. Haque has advocated for immigrants' rights by bringing lawsuits in state and federal court to challenge unconstitutional laws and policies that discriminate against immigrants in Montana. He successfully challenged LR-121, an anti-immigrant voter-approved referendum, and thanks to his efforts the law was found unconstitutional. The Montana Supreme Court unanimously affirmed this decision. In 2013, he filed a class action lawsuit against the Montana Highway Patrol to challenge its practice of detaining Latino drivers and passengers solely for the purpose of checking into their immigration status. In 2015, he prevailed with a judgment in his favor. Under a new policy, troopers cannot ask about immigration status based solely on a person's race, ethnicity or language abilities. Nor can they demand drivers or passengers tell them their immigration status or detain people who choose not to answer. Montana is now one of the only states with a clear policy prohibiting this conduct. In November 2016, Mr. Haque won a settlement of $125,000 against Jefferson County, Montana on behalf of a Mexican immigrant who was sexually assaulted while in immigration custody in that facility. In the Fall of 2015, Mr. Haque taught immigration law at the University of Montana School of Law. In 2017, Mr. Haque was the recipient of the ACLU's Jeannette Rankin Civil Liberties Award, in acknowledgement of his service to immigrants in the State of Montana. Mr. Haque is a member of the American Immigration Lawyers Association. He is also the founder and President of the Montana Immigrant Justice Alliance (MIJA), a statewide non-profit organization focused on immigrant justice issues. Mr. Haque believes strongly that every immigrant deserves the right to legal representation and has committed a significant portion of his practice to pro bono work for especially disadvantaged clients who cannot afford to pay for legal services. In 2009, Mr. Haque was the recipient of the Neil Haight Pro Bono Award, granted by the State Bar of Montana to the attorneys with the greatest commitment to pro bono work. Mr. Haque works with the Montana Legal Services Association, domestic violence prevention groups, and other non-profit and charitable organizations to assist disadvantaged immigrants. From 2008-2010, Mr. Haque was appointed to serve on the Helena International Affairs Council, which is tasked with promoting the city as an international gateway and embracing the cultures and traditions of our international residents and visitors. Mr. Haque lobbies for fair immigration policies in the Montana Legislature, and teaches training courses for immigrants and allies on immigration law, debunking myths about immigrants, knowing your rights when dealing with law enforcement, and the need for comprehensive immigration reform. In 2010, Mr. Haque trained at the Western States Center's Community Strategic Training Initiative in Portland. Mr. Haque earned his Juris Doctor from the Chicago-Kent College of Law, with High Honors, in 2005. During his first year in law school, he won the West Publishing Award for earning the highest GPA in his class. Mr. Haque served as Notes and Comments Editor of the Chicago-Kent Law Review, where he also published a scholarly article on labor and immigration policy. Upon graduation, he was inducted into the Order of the Coif and won the school's Bar & Gavel Award for outstanding service to the immigrant community. During law school, Mr. Haque was an intern with the National Immigrant Justice Center. He received his bachelor's degree in Business Administration and Sociology from the University of Southern Indiana in 2001. Prior to focusing exclusively on immigration law, Mr. Haque practiced complex commercial litigation in state and federal courts. In his commercial litigation practice, Mr. Haque defended individuals and companies in multi-district class action, consumer fraud, securities, and civil RICO litigation. Mr. Haque also practiced before administrative agencies in public service, labor, and taxation proceedings. 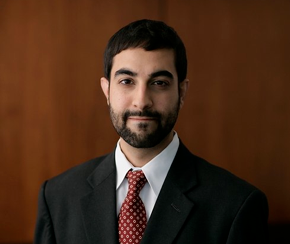 Mr. Haque began his career with Jenner & Block LLP and Howrey LLP in Chicago, Illinois. After relocating to Montana, Mr. Haque briefly worked with Browning, Kaleczyc, Berry & Hoven, P.C. in Helena, Montana before opening the Border Crossing Law Firm in 2008. Mr. Haque is a member of the Illinois and Montana Bars, and is admitted to practice before the Ninth Circuit Court of Appeals, and the U.S. District Courts for Montana and the Northern District of Illinois. Mr. Haque represents immigrants throughout the country, and has appeared before Immigration Courts in numerous states. Mr. Haque resides in Helena, Montana with his wife, Sandra, and his family.